guaranteed races including the Indianapolis 500. Team and driver prize packages total over $1.9 million. for tires and series award for race entries. Cooper Tires Award for tires and series award for race entries. Oliver Askew scholarship is for his advance to Pro Mazda, the next stage of the MRTI ladder, in 2018. 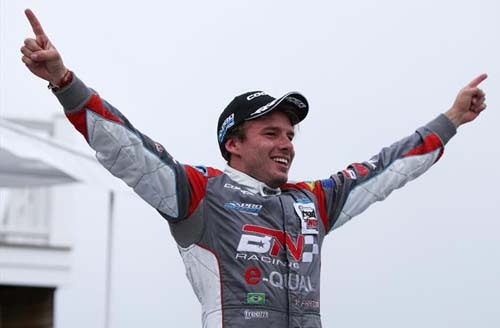 Victor Franzoni scholarship is for a move up to Indy Lights next season. 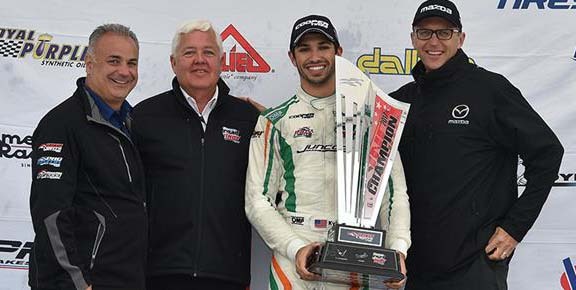 Franzoni, Martin and Cunha were also awarded an Indy Lights test day. Kyle Kaiser scholarship is for three races during the 2018 IndyCar season, including the 102nd Indianapolis 500.